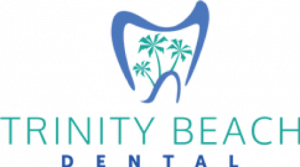 At Trinity Beach Dental, Dr Tony Ormes has provided a comprehensive range of general and cosmetic services since 1990. He is proud of the high quality of treatment provided and is mindful of the need to ensure care is as affordable as possible. Tony believes that everyone deserves quality, affordable dental care. As such, our fees are kept as low as possible while still allowing us to provide the highest quality of dentistry. As part of your comprehensive examination and treatment plan, we’ll tailor your care to your individual needs and budget. Affordable payment options are available through MySmilePlan to conveniently finance any necessary procedures or cosmetic treatments. We also gladly accept Medicare for kids. Eligible children (between ages 2-17) can receive treatment valued up to $1,000 over a two-year period. We also offer a discount for Seniors Card holders.